Becoming a parent embodies a multitude of emotions. It's really one of those situations where you can never truly understand until you are in the midst of parenting a child yourself. Oh, and your child parenting you. The first 14 months of my daughter's life have passed in a blur, and now that she's in daycare our moments together are more precious than ever before (regardless if said moments are good...or bad!). 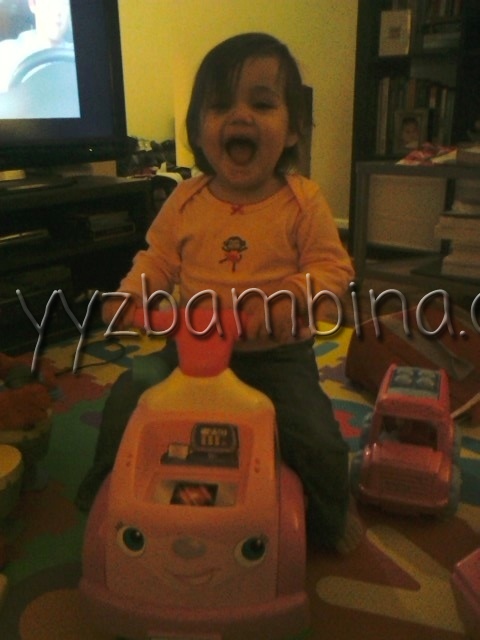 One of my Moments of Joy: Here's Hannah with her Fisher-Price Laugh & Learn™ Smart Screen Laptop. When she got her own computer, I was OVERjoyed that she stopped banging on my MacBook and used hers...most of the time. 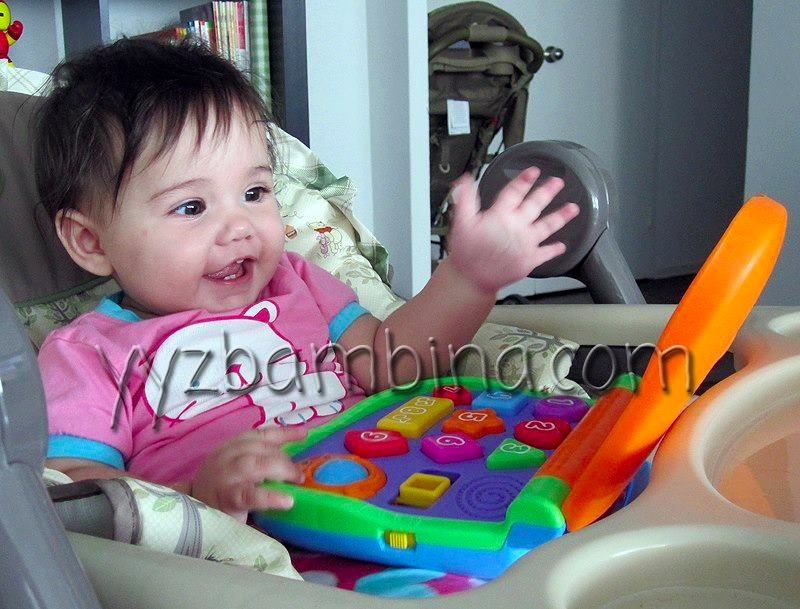 It was also neat to see her interact with the toy - her knowing that rolling the mouse cued the music made me so proud. By uploading your content to the contest site, Fisher-Price may use it in future marketing campaigns. And make sure to check in with the website consistently, as you never know if your moment could be crowned "Moment of the Week"! on her Fisher-Price Little People Shop N' Roll Ride-On I was OVERprotective. I followed her around our entire house, coaxing her to move forwards and changing her direction way before she could possibly have the chance to bump in to anything. Her pushing herself along is just another way she's becoming more independent each and every day. What's one of your Moments of Joy? There have been many moments of joy. But one that stands out was when my daughter brought her Laugh & Learn Play Puppy to the hospital and gave it to her newborn brother and said to him "This is my favourite doll but we can share it now since you are my favourite brother". Made my heart melt! Good thing she only has one brother. HA!